We’re honored to partner with the National Association of Elementary School Principals (NAESP) on their Community Service Day. 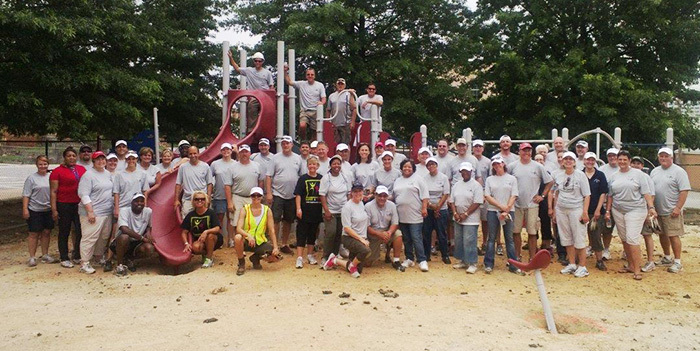 For the past four years, we’ve worked side-by-side with principals from around the nation to build and beautify school playgrounds in conjunction with the organization’s annual conference. John Ruhrah Elementary/Middle School, Baltimore, Md. 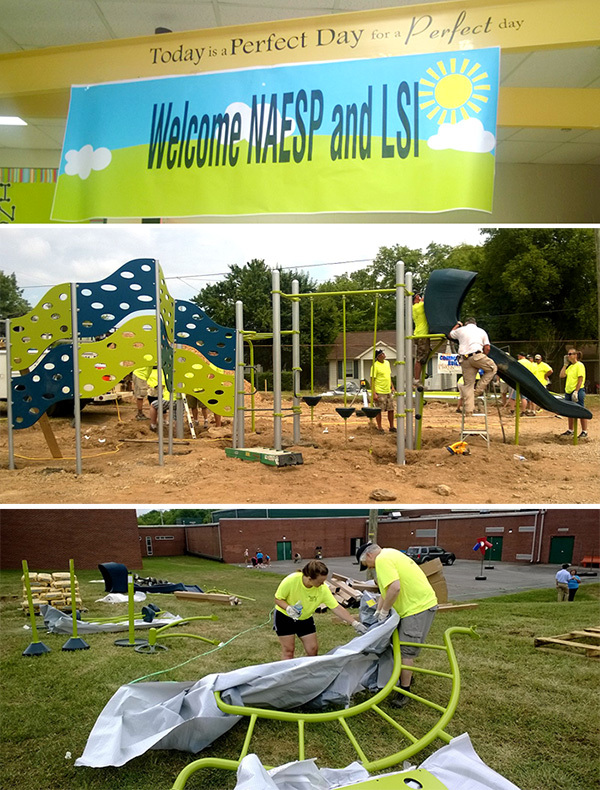 In July, we worked with NAESP members to install an inclusive playground at John Ruhrah Elementary/Middle School in Baltimore, Md. Principal Mary C. Donnelly said that she thinks the new playground will dramatically increase the use of outdoor grounds for both school instruction as well as recreation. As we completed the playground project with NAESP this year, we thought it would be fun to look back at the other schools we’ve helped over the years. Hawthorne Elementary School, Seattle, Wash. 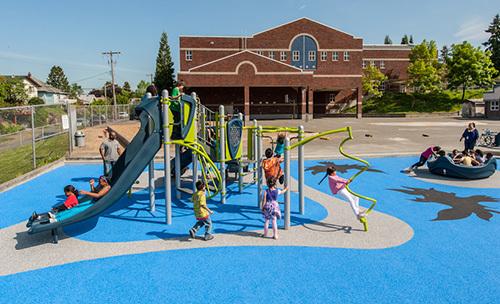 Principals congregated at Seattle’s Hawthorne Elementary School in March 2012 to build an inclusive playground. In just a few hours, the inclusive PlayBooster® playstructure was installed, allowing the principals to network with each other and interact with Hawthorne Elementary students. Booker T. Washington Elementary School, Tampa, Fla.
Our first time participating in the NAESP Community Service Day was in 2010. 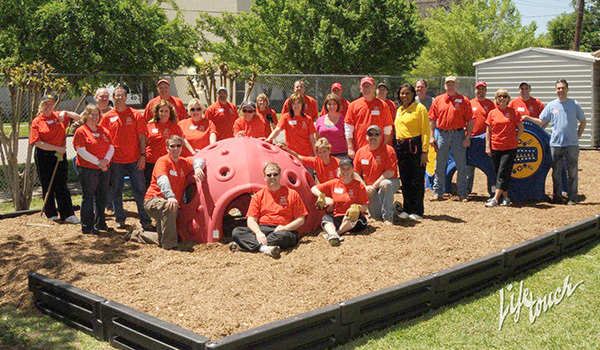 We designed a sensory-rich play space complete with the Sensory Play Center® and Cozy Dome® for students at MacGregor Music and Science Academy in Houston, Texas. 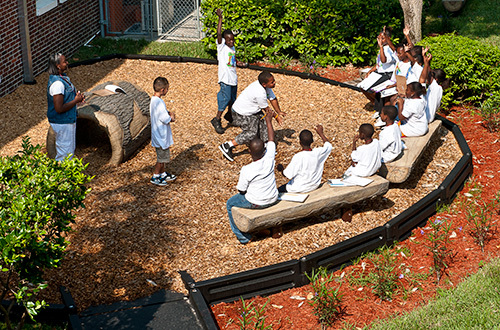 “We’re really proud and still excited about the gift that NAESP and Landscape Structures provided,” said Principal Patricia Allen of the playground. Learn more about our partnership with NAESP, and our joint commitment to enhancing the lives of children and the communities in which they live.